Anna Harvin Grant, the first woman to earn a doctorate in sociology from Washington State University, died November 6, 2004, of heart failure. She was 81. A nationally recognized expert in Black family life and former chair of the Department of Sociology at Morehouse College, Grant led a life of firsts. She came to Pullman with a wave of top African American scholars who in the early 1950s were recruited to WSU's new doctoral program in sociology. At the time the Ph.D. program was starting, several administrators with connections to predominantly Black colleges in the south put out a call to "send us your best students," says retired sociology professor James Short. "This was a place that would not only accept black graduate students, but welcome them and bring them through to their Ph.D.'s," he says. Grant, who earned her master's degree at Fisk University, responded to the call. "She may have been the only woman in that group," says Short. "She was certainly the first." Short remembers the young Anna Harvin's drive to learn, as well as her willingness to pick up some extra cash by helping a young professor and his family through babysitting. In those days, teaching assistantships didn't pay very much, says Short. "She was an excellent student," he adds. "And she had a very significant career. She's just an excellent representative of this institution." Grant was one of the first sociologists in the country addressing teen pregnancy in the 1950s. She also studied teen violence and interracial marriage. After leaving WSU, she pursued post-graduate studies at Syracuse, Harvard, and the University of Wyoming. She also taught and worked as an administrator at several schools, including Fisk, where she was dean of students. She finally settled into Morehouse College in Atlanta, where, over 35 years, she was a professor, researcher, and community activist. She was the first woman to head a department at the large private liberal arts college for African American men. "She viewed her department basically as her family," says Obie Clayton, the current Morehouse chair of sociology. She connected with her colleagues and often invited them into her home, he says. She also took a personal interest in her community. "She was a scholar, but you could call her more of an activist," says Clayton. She would bring high school students to campus and talk with them about family planning. 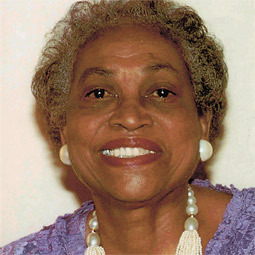 Her work included the Black Family Life Study Project, Community Urban Relations Enterprises, and adding programs to the Family Institute at Morehouse. Grant was instrumental in establishing the Phi Beta Kappa chapter at Morehouse, and she served on the steering committee to establish a Morehouse School of Medicine, where she later lectured. Among many other honors Grant received, in 1995 the Fulton County Department of Family and Children's Services dedicated a building in her name. She was also named one of the 10 Leading Ladies of Atlanta. She served on the Governor's Advisory Committee on Mental Health and Retardation, the Atlanta Judicial Commission, and the American Association of University Women. Grant was preceded in death by her husband, Thomas Grant. She is survived by daughters Kimberly Grant and Donna Grant Dunn, and two grandchildren.